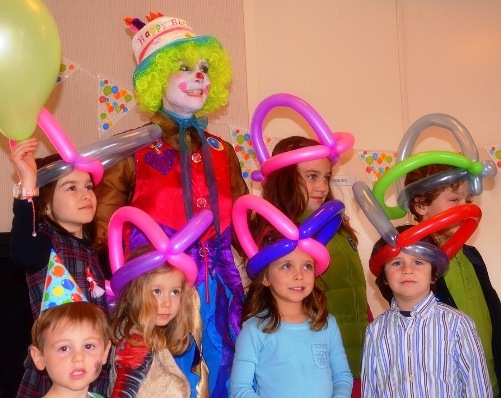 Balloon twisting is an activity that arouses curiosity among the audience the most. However, a lot of people are either afraid of twisting balloons, fearing they will just pop out of the blue, or are not sure how to handle, twist, and turn the long, skinny balloons used for this activity. Regardless which of the circumstances you are in, the balloon twisting tips below will certainly help! 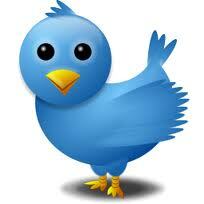 Balloons used for balloon twisting are generally stronger than ordinary balloons and, therefore, safer to work with. You can twist and turn them, and they will not pop so easily. That is unless you put excessive force on it or prick it with a sharp object. 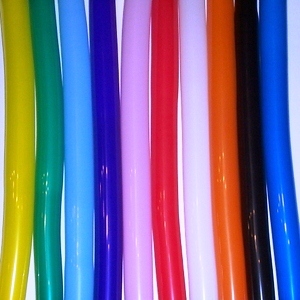 Today, there are specific brands known to produce high-quality balloons for twisting. Nonetheless, it is still important to ask balloon sellers what brand is stronger and less likely to pop when twisted. A great thing about balloons is that they come in an assortment of colors and sizes. The most common size of balloon used for twisting is called a “260.” This means that when the balloon is fully blown up, it will be around two inches in diameter and 60 inches in length. Basically, a “260” represents 2×60 inches when completely inflated. Aside from “260,” the “160” is available, which is 1×60 inches when completely inflated. These two are the most common balloon sizes used for twisting. Balloons for twisting come in many other shapes as well. You can try all of them once you get used to twisting the most common“260” size balloon. Even though the long, skinny balloons used for balloon twisting are flexible, they are difficult to blow up with the mouth. 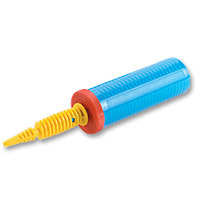 Using a hand pump to inflate them is more convenient since they are much easier and safer to use. You can probably find one at your local party store. To tie balloon knot after inflating simply wrap the balloon around two fingers, not one. This way, you can tie the knot in a quick and secured manner. Of course, this may take a little practice, but it will be worth it. When doing balloon twisting, you have to use one hand to hold the balloon and the other hand to twist the balloon. Always start twisting the balloon from the knot, so the air is pushed toward the un-inflated part. One of the most important things to know in creating balloon figures is how much to inflate the balloon. Each twist forces air into the un-inflated section so that section must be long enough to accommodate the displaced air. As a general rule, you should leave about 1/2 inch of the balloon un-inflated for each twist in the figure. It is natural to overinflate the balloon, so start with less air than you think you will need. You can adjust for little air in the balloon by reducing the size of some parts of the figure. If there is too much air in the balloon it may pop before you complete the shape. Well, that is all for this post. I hope you found these balloon twisting tips helpful!